By Sister Donna Maria Moses, O.P. “While the earth remains, seedtime and harvest, and cold and heat, and summer and winter, and day and night shall not cease.” The book of Genesis reminds us that if we take care of the land, the land will take care of us, but landscape and agricultural plans are changing dramatically in response to the drought in California. Many efforts are underway to sustain the fertile land that once was called the Valley of the Heart’s Delight for future generations. Soon after it was founded in 1797, Mission San Jose was one of the largest cattle ranches in California with productive vineyards, olive groves, orchards and fields of wheat, all watered by a primitive aqueduct system. The vineyards and wheat fields are long gone since the Dominican Sisters of Mission San Jose purchased the property in 1891, but the original olive grove still delivers abundant fruit for the extra virgin olive oil the Sisters produce. The Dominican Sisters’ new LEED (Leadership in Energy and Environmental Design) certified St. Joseph Residence and Dominican Center at their Motherhouse is a model of environmental sustainability. 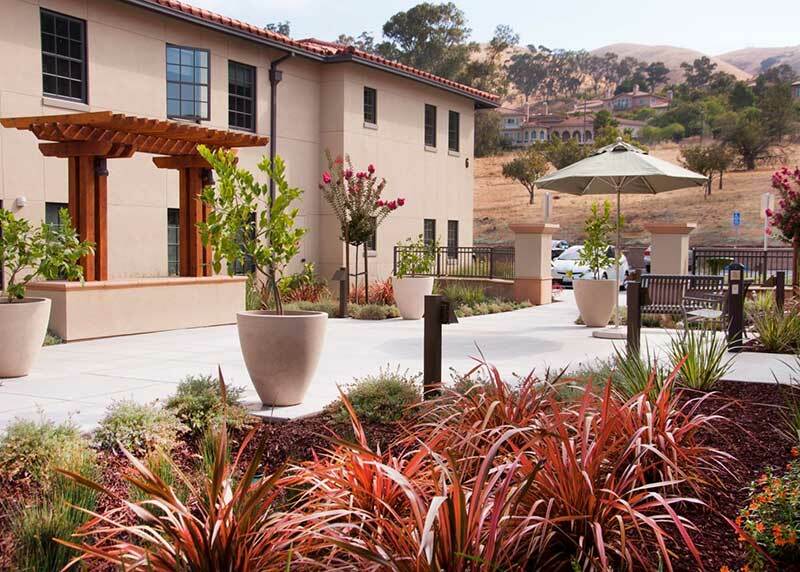 Some of the aspects that helped achieve a LEED gold rating include reflective roofing, glazed windows, solar topped parking areas, locally sourced materials and a network of 24 water retention basins to capture storm run-off in a drought tolerant meadow. The Sisters planted a community garden and orchards that are watered by a reactivated historic well. A solar-powered pump and gravity flow system designed by students from the Santa Clara University School of Engineering delivers well water to the garden’s drip irrigation system. A regenerative meadow designed by Greenlee & Associates was put in to replace the water intensive front lawn area irrigated by a sprinkler system. The new meadow utilizes contoured land to retain and filter storm water collected in the rainy season. The newly installed design supports various outdoor uses by providing places for contemplation, connective corridors for safe passage and gathering spaces for sharing. Permeable surfaces such as decomposed granite in the seating plazas. 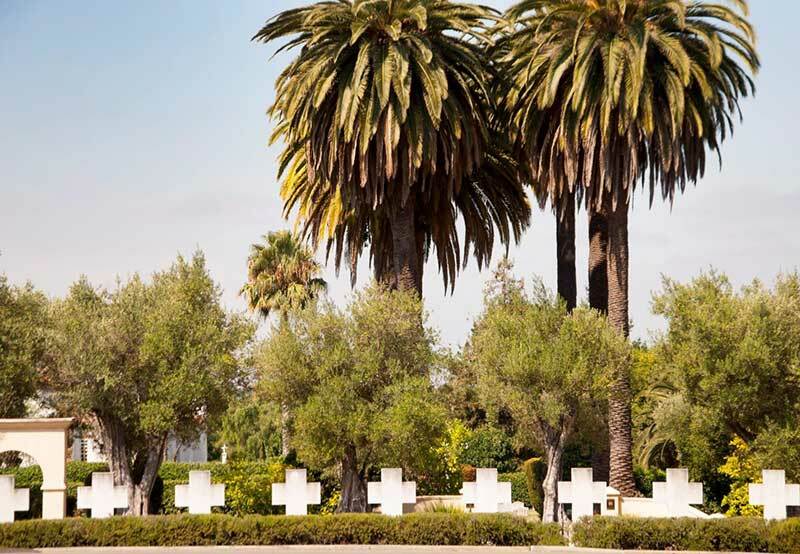 The landscape features native Californian and climate adapted plants that are more resilient than the Spanish style gardens traditionally planted on mission grounds. The land around St. Joseph Residence and Siena building has been contoured and shaped to optimize water retention. The landscape design by Gates and Associates is in tune with the Mediterranean setting and reflects the historic architecture of the San Jose Mission. 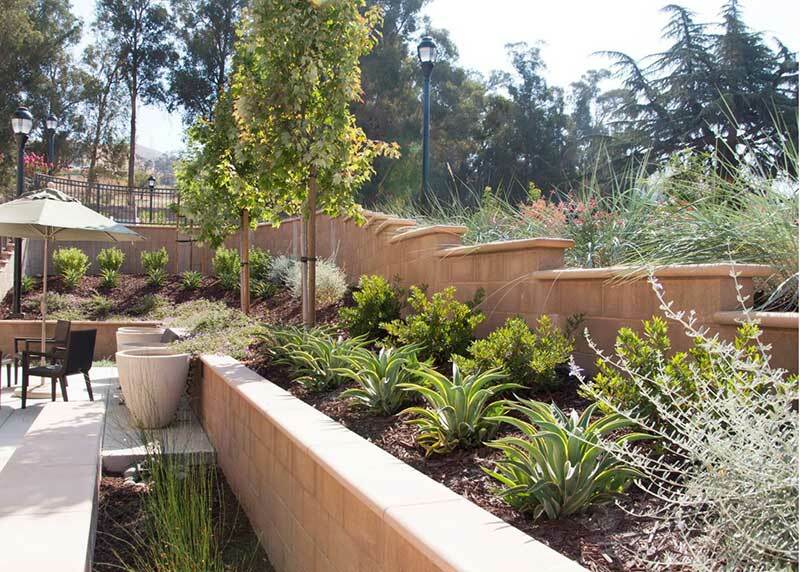 It combines drought resident ornamental grasses such as Cape Rush, California Gray Rush, Blue Wild Rye and Elijah Blue Fescue with resilient ground covers like Lantana, Creeping Myoporum, Catmint, and Australian Bluebell Creeper. The plants are grouped for water usage and spaced for mature growth to minimize the need for pruning. Indigenous and climate adapted trees and shrubs add depth and color to the area around the new residence and two large interior patios. The multihued panoply includes six different types of New Zealand Flax, three kinds of Fortnight Lily, Tree Mallows, Evergreen Day Lilies, Dwarf Kangaroo Paw, Variegated Smooth Agave, California Wild Lilac, Sunset Rockrose, Red Flowering Buckwheat, California Sword Fern, Coffee Berry, Bowman’s California Fuchsia, Hot Lip Sage, Apple Blossom Carpet Rose, Azure Blue Germander, Tree Mallow and Santa Barbara Sage. The palette considers various sensory elements; smell, texture and variety of colors for changing seasons. The site has a lush feel even with limited use of lawn. The native and drought tolerant plants also attract local fauna to the gardens. By creating a model sustainable environment at their Motherhouse, the Dominican Sisters are taking to heart the call of Pope Francis to care for our common home.